Need more security systems leads? 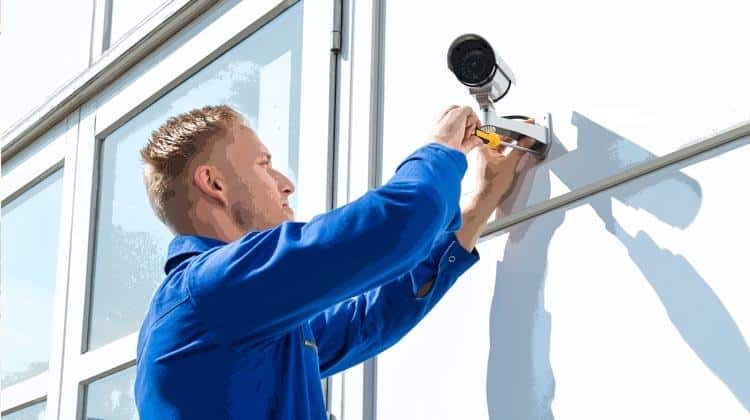 Want to expand your security systems business? For many businesses in the security industry, AdWords can seem like a waste of money. It can be hard to get the right people to click on your ads, convince them to become a lead and close them as a new client. After working with security companies for years, however, we’ve learned how to reliably produce click-through rates of around 5% and consistently turn a quarter of those clicks into highly qualified leads. One of the major problems most security companies face in AdWords is targeting the wrong keywords. It’s tempting to bid on every security-related keyword you can think of, but that actually causes more problems than it solves. In most of the security systems AdWords accounts we’ve started managing, less than 10% of their keywords produce leads. The other 90% of their keywords are just plain useless. And, to make matters worse, those useless keywords eat up about 3/4ths of these client’s budgets. That’s bad news for your security company. Do you see why targeting the right keywords is so important for security companies? If you’re bidding on the wrong keywords, your ads show up for the wrong searches, get the wrong clicks and ultimately waste your precious marketing budget. At Disruptive, we’ve spent years identifying the right keywords for the security industry. We’ve tested almost every keyword you can think of to figure out which keywords deliver the best results for our clients. To do this same thing for your security systems company, you’ll need to test and analyze your own keywords. Open your AdWords account and set your time frame to the last 2-3 months. This is important, because if you don’t look at a broad enough time frame, your keyword data won’t be very insightful. Unfortunately, there’s a reason why so many security companies waste so much money on the wrong keywords. They simply don’t spend enough time in their AdWords accounts. In fact, that’s a big part of the reason why many security companies hire marketing agencies to manage their accounts for them. However, even hiring a marketing agency often doesn’t mean that your account will get the time and attention it needs to perform efficiently. In our experience, over two-thirds of security AdWords accounts haven’t been tweaked in the last month. Just 10% have had a change made in the last 7 days. No wonder your average security company wastes so much money on AdWords! The final key to running an effective security campaign in AdWords is high-quality tracking. After all, spending time in your AdWords account doesn’t mean much if there’s no good data in there to look at. However, less than 30% of the security systems AdWords accounts we audit are effectively tracking conversions—let alone actual deals closed. To put it simply, most security companies are essentially running their AdWords accounts blind. Is it any wonder that they’re wasting most of their advertising budgets? Once you’re effectively tracking conversions and sales, you can use that data to truly set your security systems AdWords campaigns up for success. It will still take some trial and error, but at least you’ll have the data you need to learn from your mistakes. After spending years helping security systems companies with their AdWords accounts, we’ve found that running a successful security AdWords campaign ultimately comes down to how effectively you can execute on these three principles. If you’re targeting the right keywords, spending enough time in your account and effectively tracking your results, AdWords can produce amazing results for your security company. What will it do for yours? By the way, if you’d like help setting up or running an effective AdWords account for your security systems business, let me know here or in the comments! Security systems companies are our favorite clients, so we’d love to have the opportunity to help you grow. You’ve heard my two cents, now it’s your turn. What are some of the obstacles your security systems business faces? Have you tried AdWords? What was your experience?